Originally published in 1984, the novel is a eulogy for Oscar Balboa, 16, and Valentín Rodriguez, 19, who were both unarmed and on leave from Camp Gary, a Job Corps training facility near San Marcos, Texas. Their deaths occurred during a nationally troubled time that was rife with bigotry and racial discrimination. And Shooting Star gives some important insights into efforts and actions by the Chicano civil rights movement during that time period. In the novel’s English translation, Oscar Balboa and Valentín Rodriguez are described as “strutting icons of Raza manhood worthy of a guitar ballad.” And after they are shot, their dying thoughts cover a wide and often moving range of memories, thoughts and impressions. As one example, Oscar remembers coming north from Mexico to work in the fields, and he remembers taking part in farm worker protest marches with his father. Meanwhile, Valentín is not really sure if he has been shot or not, but he knows he cannot move, nor make Oscar hear him. And he feels what he thinks is dew on his back as he recalls some of his own life and his brief time with Oscar. 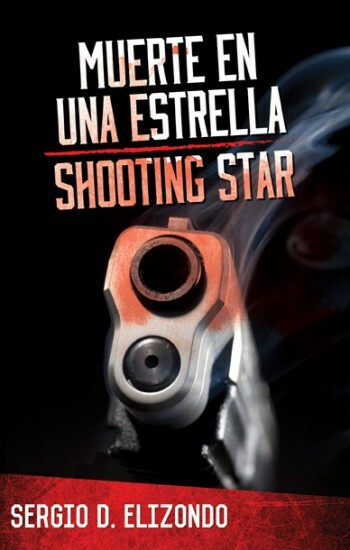 Shooting Star definitely is worthy of its praise as “a classic” in Mexican-American literature. This excellent first English translation will introduce the author and the book and its insights to many more readers. The book has been created for children and for parents of children who are still learning to read. But adults also need to be reminded about the special powers of kindness and working together. Matzo Frogs can help with that task, too. Matzo Frogs tells the story of kind-hearted Minnie Feinsilver. Her favorite cousins are coming over for Shabbat dinner, and Minnie is up early, fixing matzo ball soup. Unfortunately, Minnie has an accident and spills the soup. And she doesn’t have time to prepare a new batch. She has promised to spend the day helping a friend who is bedridden with a broken leg. So she goes off to do that good deed. Her next-door neighbors, a colony of frogs living in a pond, know what has happened to Minnie, and they decide to help, to do a mitzvah, by preparing a new batch of matzo soup in her kitchen. David Sheldon’s artwork brings the cooking adventure to hilarious life as the frogs hop into action, opening the recipe book, gathering the special ingredients, making the matzo balls, cooking the soup and jumping back home just before Minnie returns home to her surprise. Minnie realizes that while she was out helping her friend, someone else has helped her by saving her Shabbat dinner for her cousins. And, when she finally figures out who did the mitzvah, she thanks them in a kind and special way. The book’s author, Sally Rosenthal, is an Emmy Award-winning documentary film producer. Matzo Frogs is her first book. The illustrator, David Sheldon, has created artwork for more than 80 children’s books. By the way, if you are hungry for some matzo soup but don’t want to gather up and cook the ingredients or wait for kind frogs to fix it for you, here’s a link to a well-known packaged mix. C’mon, admit it. You hated poetry in high school, and you seldom read it now. Yet, you sometimes find yourself moved to write a poem–or at least attempt to. And you wonder if the ones you actually finish are good enough to get published. The 27th annual edition of Poet’s Market shows how and where you can submit poems for possible publication (and, much rarer, possible payment for your work). The sites listed include The New Yorker (“which receives approximately 4,000 submissions per month”) and The New England Review (which receives 3,000 to 4,000 poetry submissions per year and accepts about 70 to 80). The 505-page 2014 Writer’s Market contains interviews with poets, a quick and helpful overview of poetic forms, plus 15 fine, well-displayed poems to keep you inspired and/or jealous. And the book contains solid information on how to promote yourself as a poet and give effective poetry readings. If you are serious about writing poetry–and even if you choose to self-publish your works–you will find a rich array of how-to’s, hints, cautionary tales, marketing tips and other worthwhile resources in the 2014 Poet’s Market. Here are three specialized books for serious readers of specialized topics. The first provides a “comprehensive yet concise overview” of Cormac McCarthy’s “legacy in American literature.” The second examines a 14th century civilization in Central Texas that “represents the last prehistoric peoples before the cultural upheaval introduced by European explorers.” And the third delves into the complex, often violent history of the Rio Grande border area that separates Mexico and the United States. An “international team of McCarthy scholars” provide more than a dozen insightful essays that examine and analyze some of the prolific and reclusive author’s “best known and commonly taught novels,” as well as his “work in cinema, including the many adaptations of his novels to film.” Some of the titles reflected upon include The Road and All the Pretty Horses. In this important gathering of “studies and interpretive essays,” the editors and other contributors focus on a mobile, prehistoric society of hunter-gatherers whose culture “arose in and around the Edwards Plateau of Central Texas” and whose homeland covered much of Central Texas and South Texas in the 14th century. They were, the book contends, “never isolated from the world around them”–a world that included neighboring tribes and groups in northern Mexico and eastern New Mexico, plus newcomers such as the Apache and Comanche. Yet these “last prehistoric peoples” soon would have their culture changed and overturned by the arrival of European explorers. America’s border with Mexico has a complex and troubled past, a complex and troubled present, and likely will have a complex and troubled future. In this thoughtful, well-researched study, Omar S. Valerio-Jiménez, an associate professor of history at the University of Iowa, focuses on how the people who lived in the border area during the 18th and 19th centuries fared as Spain, Mexico, and the United States all vied for control. Ultimately, Spanish colonists near the border became Mexican citizens but then became Americans, whether they wanted to or not, as political and military power shifted and territory changed hands. Meanwhile, those who were caught up in the seesaw battles did not “adopt singular colonial or national identities. Instead, their regionalism, transnational cultural practices, and kinship ties subverted state attempts to control and divide the population.” In short, they intermarried, formed defensive alliances (Mexican, Indian, and Anglo), and identified more with where they lived than with any distant capitol that allegedly controlled them.